Cancer survivors eat less nutritious diets on average than the general population, according to a recent study published in the online journal Cancer. The study suggests that cancer survivors are more likely to choose diets that contain less fiber and more empty calories, saturated fat, and sodium. On average, their diets are also deficient in several key vitamins and minerals, including vitamin E and calcium. Researchers compared the dietary intake of over 1,500 cancer survivors and nearly 3,100 people who had no history of cancer. Overall, cancer survivors were less likely to meet recommended dietary guidelines. Their diets were low in healthy foods like green vegetables and whole grains. 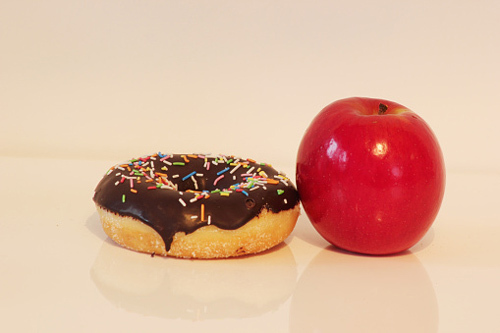 Unhealthy diets are believed to contribute to up to 40% of all cancers. Processed meats have been linked to bowel cancer, and obesity increases the chances of several cancers developing. Dr. Fang Fang Zhang, the study’s lead author, noted that the findings were surprising, given that cancer survivors usually try to make healthier lifestyle choices following treatment. “Cancer survivors are usually motivated to improve their health, so I think it is remarkable that they are still burdened by a sub-optimal diet,” said Zhang. The study determined the quality of each diet through the Healthy Eating Index, which is based on U.S. dietary guidelines. Cancer survivors scored 47 out of a possible 100, compared to a score of 48 for people without cancer. Although the difference in scores may seem small, they are significant given the increased risk of health problems for cancer survivors. Dr. Zhang highlighted that a small change in diet could have a large impact on people with a history of health problems. The study also found that the quality of diets changed depending on what type of cancer a person recovered from. Lung cancer survivors had the least healthy diets, whereas breast cancer survivors ate more nutritious meals. As well, cancer survivors who were older, more educated, and had no history of smoking were found to have more nutritious diets than their counterparts. According to Dr. Zhang, there are several possibilities as to why the diets of cancer survivors are worse than the general population. For example, some people who had previously been diagnosed with cancer may have had worse diets than the general population, or their diets may be in response to stress and depression following treatment. Further studies would be needed to address these concerns. The study did not differentiate between people who recently recovered from cancer and people who finished treatment at an earlier date, meaning that the impact of timing on diet quality remains unknown. According to Dr. Zhang, the study highlights the need for doctors and healthcare professionals to make nutrition part of follow-up care for cancer patients. By increasing the quality of their diets, cancer survivors can minimize their risk of developing more health problems. “Eating Unhealthy Food,” BreastCancer.org; http://www.breastcancer.org/risk/factors/unhealthy_food, last accessed October 13, 2015. Hackethal, V., “Poor-Quality Diets Among Cancer Survivors,” Medscape website; http://www.medscape.com/viewarticle/852546, last accessed October 13, 2015. Dotinga, R., “Many Cancer Survivors Eat Poorly, Study Finds,” HealthDay website; http://consumer.healthday.com/cancer-information-5/mis-cancer-news-102/many-cancer-survivors-eat-poorly-study-finds-704141.html, last accessed October 13, 2015. Netburn, D., “After cancer, survivors do not choose healthy foods: What’s going on?” Los Angeles Times website, October 12, 2015; http://www.latimes.com/science/sciencenow/la-sci-sn-cancer-survivor-nutrition-20151009-story.html.